Disclaimer: This is by no means an exhaustive list. We humans eat an insane variety of food, and we’re social creatures who love to share. So please remember that dogs’ bodies don’t always work in the same way and that some foods can be toxic. If you’re ever unsure about feeding your dog a particular food, just don’t do it. Likewise, if your dog ate a food you’re not sure about, call your vet. You can always stick to reliable vegan dog treats when in doubt. That said, I know a few of the food items below are totally up for debate, so if you know something I don’t let me know in the comments! ​We'll dive into the details below, but we also put this info into a pawsome infographic. Can dogs eat bananas? Sure! There are a lot of great things about bananas (aside from being able to use them as a telephone). Bananas are perfectly safe for dogs as long as they’re not eating, like, an entire bunch of them. Bananas also have plenty of benefits. For example, they’ve got a lot of good nutrients that can be tough for your dog to get otherwise: vitamin B, vitamin C and potassium. They’ve also got tons of fiber, which, like with humans, can help keep your dog regular. Fiber (along with other natural enzymes) also makes them a good choice for dogs with inflamed colons or bowel problems. Of course, you can have too much of a good thing. With bananas, too much of a good thing can result in constipation. Still, a size-appropriate servicing of banana can be a good, healthy snack for your dog. Can dogs eat apples? In moderation (and be careful of the seeds and core). In general, it’s fine to give your dog a small servingof apples. Like other fruits, apples contain tons of great vitamins and minerals, and those are always a good thing. Specifically, apples contain vitamin K, calcium, vitamin C and soluble fiber. According to the almighty Cesar Milan, apples are tough and fibrous enough to help clean a dog’s teeth, which makes them a passable, low-cost alternative to dental chews (although you still need to brush your pup’s teeth). So why only in moderation? First, the seeds, core and stem of an apple contain cyanide, which is toxic to both dogs and humans (dog's just have a little more trouble stopping themselves from eating stuff than people do). Plus, apple seeds tend to be easy to miss--they kind of "hide" in apple slices, so if you are going to feed your dog some apples, please be extra careful with the core and seeds. You also don’t want to go crazy with apples for the same reason you don’t want to go crazy with any fruit: while fruit can add nutrients to your dog’s diet, the largest chunk of her food should come from meat (especially for breeds like French bulldogs). Can dogs eat avocado? Nope. Avocados contain a chemical called persin, a fungicidal toxin that leaks out from the pit and gets absorbed into the pulp. Some animals—horses, birds and rabbits in particular—tend to have really bad reactions to this stuff. According to the ASPCA, dogs won't experience serious illness from eating avocado, but they can still get an upset stomach if they eat a lot of it (thanks to Jen from Dogthusiast for pointing this out). 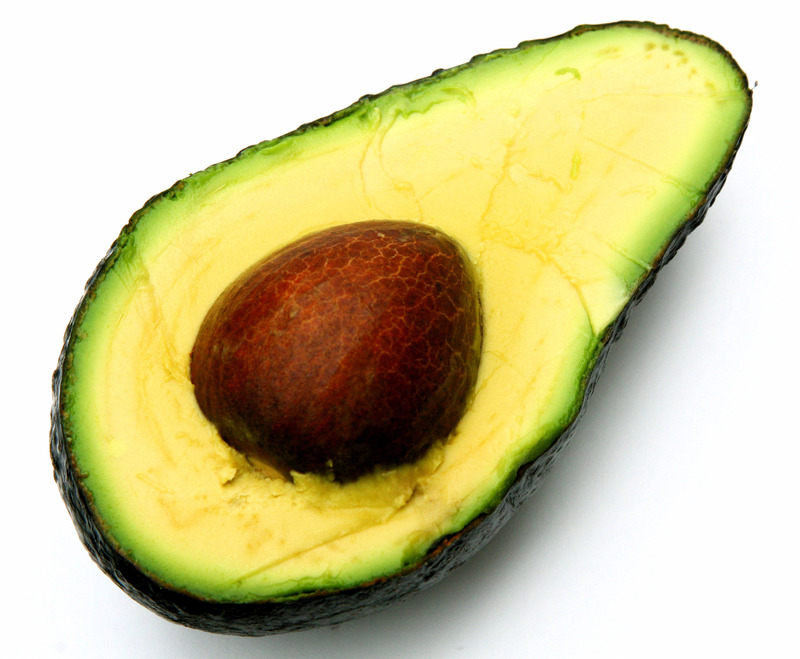 Still, the ASPCA does mention avocado on their list of foods that are hazardous to dogs. However, since dogs tend to be overzealous eaters, they can also eat the pit, which can block their digestive tract and cause serious problems. If your dog accidentally eats a little bit of avocado, you probably don’t need to worry; you may just see a bit of vomiting and diarrhea. If she eats a bunch of it or eats the pit, though, a call to your vet may be in order. And, of course, if you’re not sure… take her to the vet to be safe. Can dogs eat popcorn? Not recommended. Popcorn is not toxic to dogs, and eating a little bit of fully popped popcorn isn’t going to hurt. However, in our humble opinion, it’s still not a great idea. First, eating uncooked seeds can cause problems for dogs, and we all know how painfully easy it is to accidentally get a few un-popped seeds in our mouth while eating popcorn. The only difference is that we’ll pick them out, but our dogs will swallow them. Consuming un-popped popcorn can upset your dog’s tummy and lead to dental disease. Plus, there’s not a ton of nutritional value in popcorn anyway. So, while fully popped popcorn isn’t toxic to dogs, there are too many risks to be worth it really. If you absolutely must feed your dog popcorn, feed her plain popcorn without sugar or butter, or go with a commercial popcorn treat specifically made for dogs (like Pupcorn). Can dogs eat carrots? Sure! Carrots are an awesome, healthy snack for dogs. You’ll find carrots as an ingredient in lots of dog foods, since it contains beta-carotene, which is a great for your pup’s eyes. Carrots are also good for her skin and coat, which makes them a really snack for long-haired dogs like golden retrievers or Maltese pups. Even better, though, dogs tend to really like the texture. I mean, think about it: a carrot is basically a big stick you can eat. What dog wouldn’t love that! You can feed your dog cooked or raw carrots. The only real restrictions here are to (like all food) not go overboard and be careful with carrots if your dog has diabetes, since they do contain sugar. Can dogs eat grapes? Nope. The understanding of how grapes affect dogs is actually recent, but it’s been discovered that they’re associated with canine kidney failure. According to the ASPCA, no one’s quite sure why this happens, but it does. I’ve told this to people, and a few of them have said, “What? I trained my dog to sit with grapes!” If that’s you, you don’t necessarily need to worry. Some dogs can eat grapes without experiencing any significant side effects (again, the reasons are unknown). Others, though, can develop serious, life-threatening illnesses. If your dog has ingested grapes and is experiencing toxicosis, you’ll probably see some combination of vomiting, fatigue and diarrhea, which means you should take her to the vet pronto. If your dog’s eaten grapes in the past but didn’t develop sudden symptoms of toxicosis, you should still mention it to your vet at your pup’s next checkup. Can dogs eat mushrooms? In moderation (and only store-bought). Here’s the most important thing to remember here: the only mushroom that is safe for your dog to eat is the kind you can buy at the supermarket (ASPCA). If you can buy it in the supermarket, and it’s safe for you to eat, it’s probably safe for your dog, too. Of course, you should never ever let your dog eat wild mushrooms. To the untrained eye, toxic mushrooms are almost impossible to tell from non-toxic ones, and mushrooms that are toxic can be seriously life-threatening, especially to dogs. Some species of wild mushrooms can cause liver damage, kidney damage, digestive problems, or even serious neurological damage. It’s prudent to note, too, that some sources recommend never feeding your dog mushrooms—just in case. I tend to fall in this category. Can dogs eat almonds? Can I give my dog other nuts? Nope. You shouldn’t give your dog nuts. Of all the nuts, almonds are among the least harmful, and one or two isn’t going to hospitalize your dog, which is why they’re in the “Not Recommended” category. Still, it not the best decision. I mean, why risk giving your dog an upset tummy if you can help it? Dog’s digestive systems just aren’t equipped to handle nuts, and some nuts, like macadamia nuts, can be seriously toxic. If your dog eats a nut, watch for these symptoms: vomiting, diarrhea and abdominal pain. If you spot any of those, take her to the vet. …but can dogs eat peanut butter? Sure! Even though dogs can’t eat nuts, they can eat peanut butter. Why? Because peanuts aren’t nuts! They’re legumes. So they don’t cause any of the weird health problems nuts do. Peanuts also have a bunch of great nutrients for dogs: vitamin B, vitamin E and niacin. They’re also loaded with health fats, which can keep your pup’s ticker ticking for a good, long time. Plus, dogs usually love this stuff. With our dog, we just smear a spoonful of peanut butter in her Kong and let her go to town. When you’re picking out a peanut better, make sure to get raw, unsalted peanut butter. You may have to look harder than you think; lots of commercial peanut butters contain both added sugar and added salt. There are also plenty of dog peanut butters out there. Also, go easy on the portion sizes. Peanut butter is packed with calories. Can dogs eat blueberries? Sure! 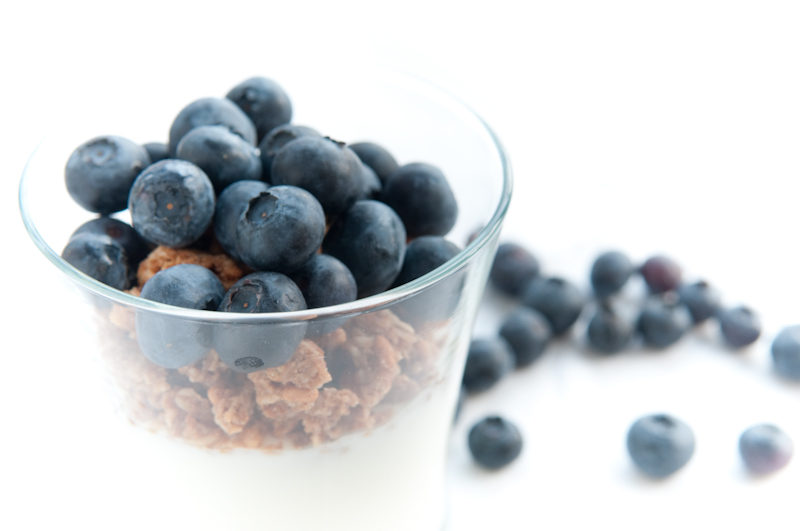 Blue berries contain a bunch of great stuff. Including vitamins A, B, C, E, and K. They also contain a bit of fiber and a whole host of antioxidants. So, yea, they’re pretty healthy. In fact, you’ll find blueberries in lots of the best dog foods. Just be careful not to overfeed them to your dog, which can cause upset stomach, diarrhea or vomiting. In other words, an entire bowl of blueberries probably isn’t a great idea, but a few here and there (or as an ingredient in dog food) is totally cool—and even healthy! Can Dogs Eat Cranberries? Sure! The little red pieces of heaven called Cranberries aren't only mother nature's gift to anyone suffering from a urinary tract infection, they're also a great snack to give to Fido! Containing decent amount of dietary fiber which helps your doggie when mother nature comes calling, being rich in vitamins A, B1, B2, and C and known to improve your dog's cognitive functions and help fight aging effects, cranberries are definitely an option you should consider including in your dog's diet from time to time. One word of caution though, please make sure you never feed your dog any dried cranberries and that you only serve them fresh, raw cranberries. Dried cranberries are much less nutritious and have much more sugar content than fresh cranberries. Can dogs eat celery? It’s healthy but still not recommended. This is a tricky one. Judging only by its nutritional value, celery is fine. In fact, most leafy greens are great for your dog. Celery, in particular, contains plenty of vitamins (A, B, C, E, K), and it also contains plenty of water, which is good. So why don’t we recommend it? We tend to stay away from feeding our pup raw celery because it’s so tough and stringy. If she was a nice, polite dog who took her time chewing her food, it may be a bit different. But she’s not. Like lots of dogs, she gets excited when she eats and tends to wolf stuff down. If your dog doesn’t properly chew celery, it can be hard to pass and can cause some digestive problems (and our dog is already prone to those). So this one is definitely up for argument, and it’ll vary from dog to dog, but for most dogs, you can probably find a snack with slightly less risk. Can dogs eat onions? What about garlic? Nope. Onions are one of the foods the ASPCA warns against in pretty explicit terms. In fact, all veggies in the onion family (garlic, scallions, and shallots) can cause significant damage to a dog’s red blood cells if she eats enough of them. That said, it takes a pretty good amount of onions to really cause a problem. So if your dog gets ahold of an onion that leapt from your cutting board and onto the floor, she’s probably fine. Garlic, however, is another story. According to the ASPCA, “the stronger it is, the more toxic it is.” So, if you were asking yourself, “Can dogs eat garlic?” the answer is a resounding, “No,” and for the same reasons they shouldn’t eat onions. This goes for onion and garlic products, too (like soup mixes or onion powder), which can sometimes be even more dangerous. Can dogs eat rice? Sure! As long as rice is well-cooked, it’s totally fine for most dogs. This another ingredient you’ll find in dog food from time to time. While we personally like our pooch to get her carbohydrates from veggies, like sweet potatoes, a little rice can be a good way to make sure your dog is getting enough carbohydrates if you make your own dog food. Additionally, white rice has some good gastronomical benefits—namely, it can help calm down tummies-in-turmoil. The most important thing here is to make sure the rice is fully cooked. You should also be careful feeding rice to diabetic dogs, since It’s essentially all carbohydrates, and white rice has a fairly high glycemic index. Can dogs eat fish? Sure! Cooked fish is actually one of my preferred meats for our dog (even though I hate fish myself—yea… I’m one of those people). Fish is a good, lean meat, which should make up the bulk of any dog’s diet. One of the reasons I really like fish, though, is that it provides lots of good omega fatty acids, which are sometimes hard to find in dog food. It’s also good for owners who prefer that their dogs get their fats from whole food sources instead of supplements. If you are going to feed your dog cooked fish, make sure it’s unseasoned and unsalted. Fish a good; a bunch of different seasonings probably isn’t. I just wanted to remind you one more time never to feed your dog anything you’re not sure about and to call your vet if she eats something you’re not sure about, too. I care about your dog, and our dog wants all her friends to stick around for a long time!